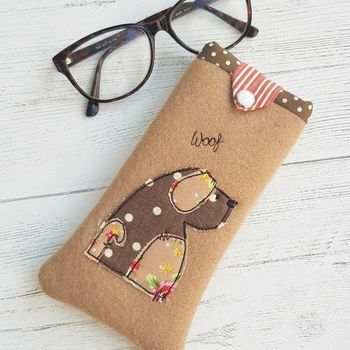 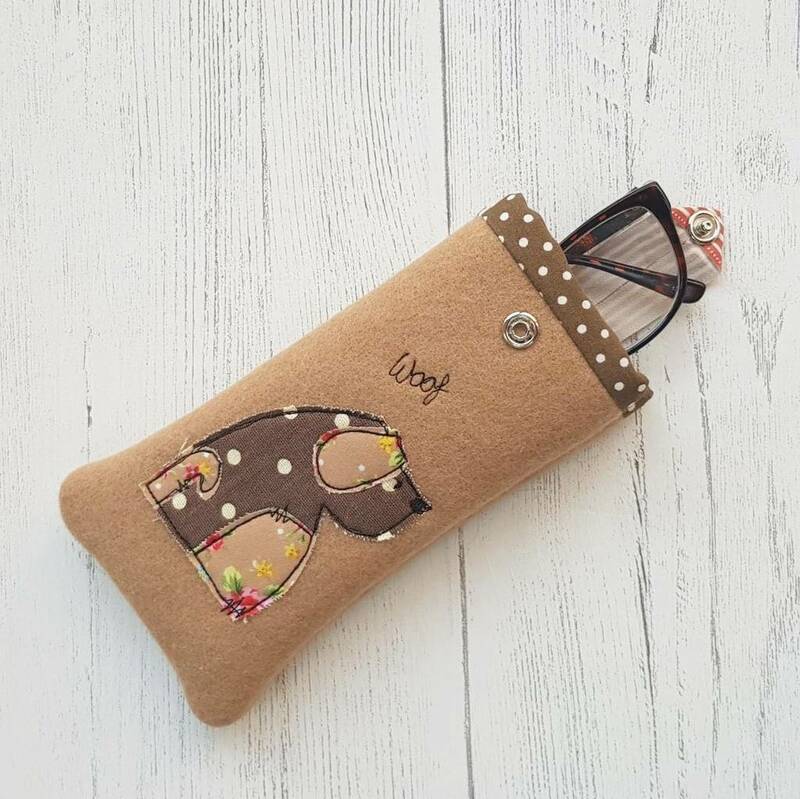 This pretty glasses case would be perfect for that dog lover in your life, and can be personalised with a name or short phrase to make it that bit more special. 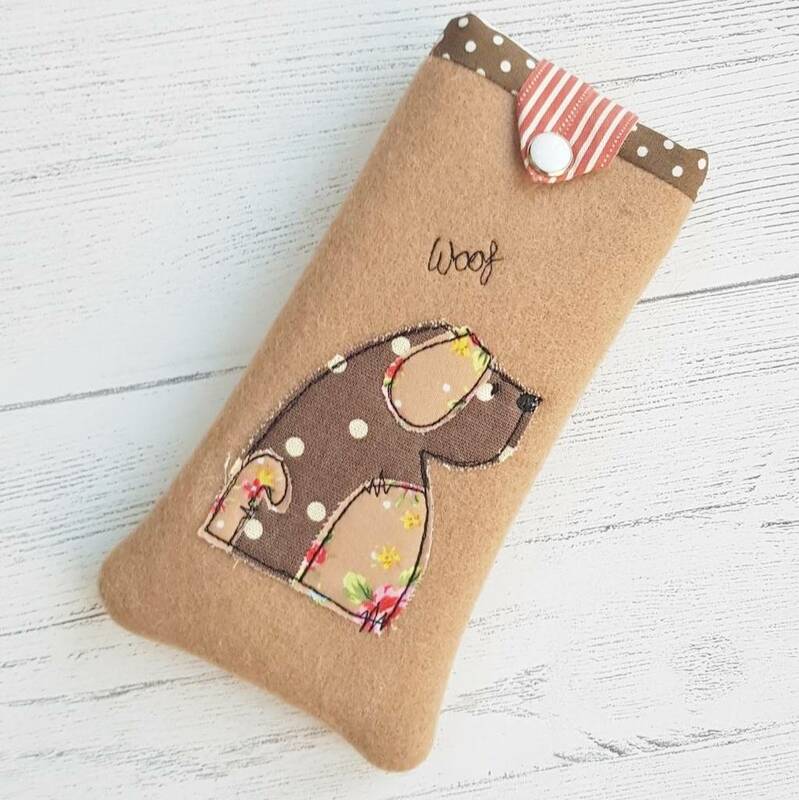 Available in a buscuit colour but if you wish to have the cover made in another colour this is certainly possible, you simply have to ask! Available in a floral or yellow fabric. 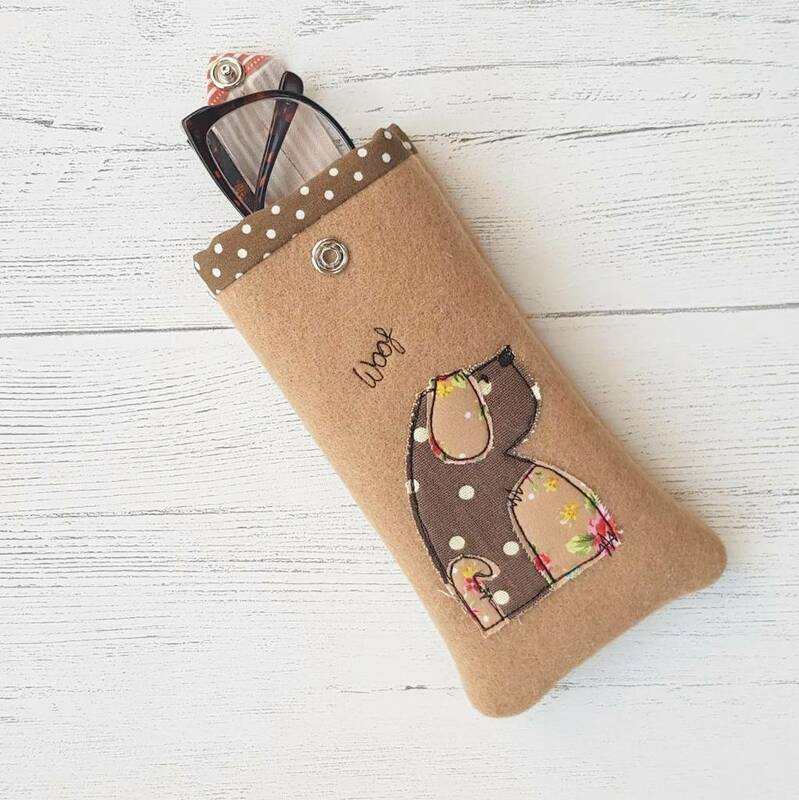 Made from a wool fabric with a pretty co-ordinating cotton inner and ribbon and popper fastening. 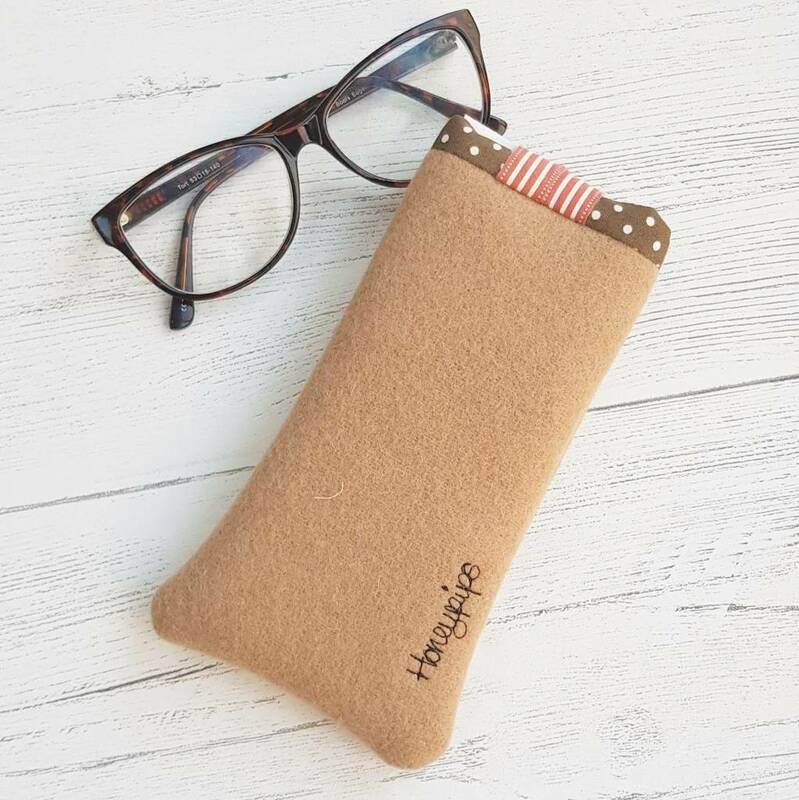 Clean only by hand.